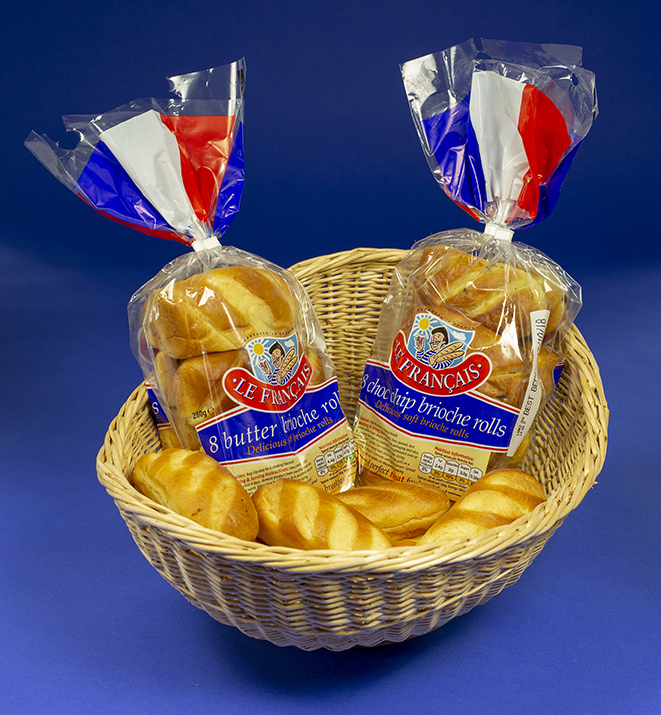 I designed the two packs of Le Français Brioche Rolls for Beauchamp Foods – Butter Brioche and Choc-Chip Brioche. This came about because they needed a new packaging design for the packs to be printed on transparent film for the first time. The new designs re-used some legacy elements from the previous paper label. My brief was to emphasise that the rolls were made in France. Utilising the blue-white-red colours of the French flag, I made good use of the ‘tail’ area of the pack to mimic the flag and make the tails as eye-catching as possible, for instant recognition in supermarkets. As the packs were also printed in France, I liaised closely with the French printer on several technical points, in order to supply them with 7-colour artwork including the base-layer white ink.